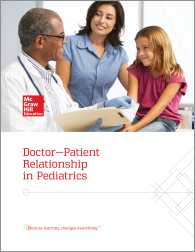 Patient satisfaction in pediatrics is unique because clinicians interact with two very important constituencies: underage patients and their caregivers. Communicating with patients and families is essential for quality care. Yet, traditionally, there has been little emphasis placed on building interpersonal skills in pediatric practice and training. This white paper will offer tips and examples for clinicians on how to provide quality care and communicate empathy.